Calling your company White Bird Amplification seems to be a good move. It’s catchy and original. But one might not realize there’s more to it until one knows that the owner and designer's name Piotr Bocianek translates to little stork. 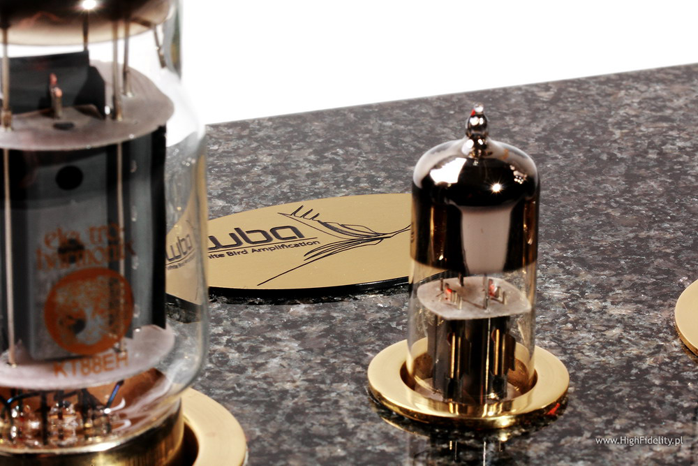 Although you can't tell from the company's name, they make only one kind of product – headphone amplifiers. The range starts with the HPA-03 Reference at 700 Polish zloty and until this review topped out with the Grand Twin Pro and 300B tubes at 2700 zloty. 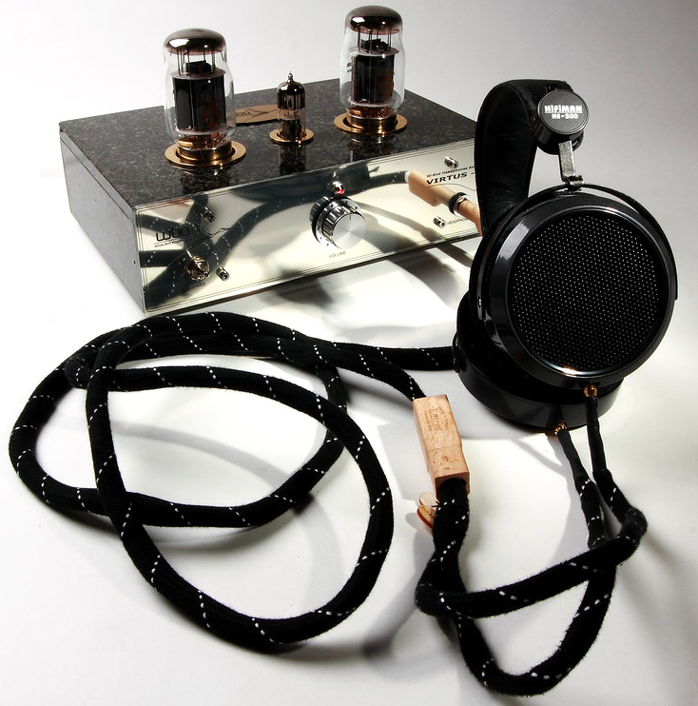 I only learnt about this manufacturer when one of our readers—obviously a headphone lover, thanks again!—wrote in asking if I had listening to any of Piotr’s creations. I had not but immediately took the opportunity to send out an email inquiry. Not that I received an amplifier as promptly. I had to wait a while but here it is now and that's what matters. And had to wait because I was to receive a completely new model not even up yet on their website. Plus each unit is made to order. The one dispatched is the current flagship which will soon be joined by the Virtus 300B whose review is planned for the near future. Today we’ll thus take a closer look at the Virtus-01. 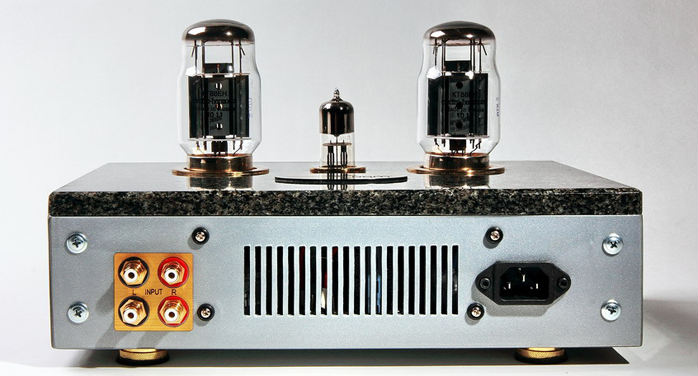 This amplifier is build around the KT88 with a single 6N6P double triode in the input. The latter reminds me a lot of the so-called ‘super tube’ 6H30P. 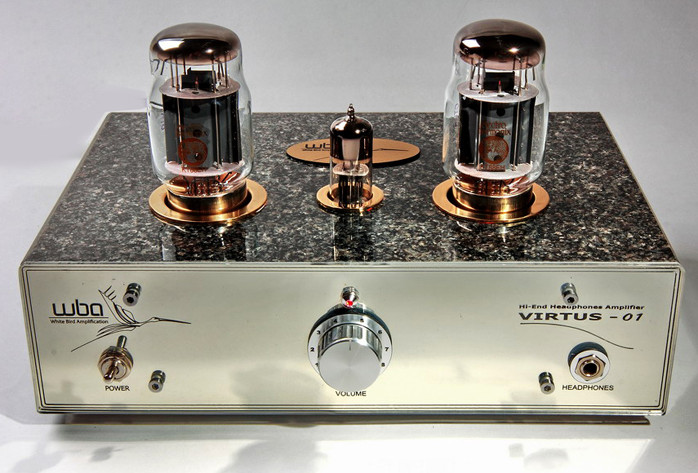 As Mr Bocianek explained, the Virtus also works with ECC85, E88CC, 6N23P and even 6N2P in the input stage but he feels that their sound gets more “metallic”. 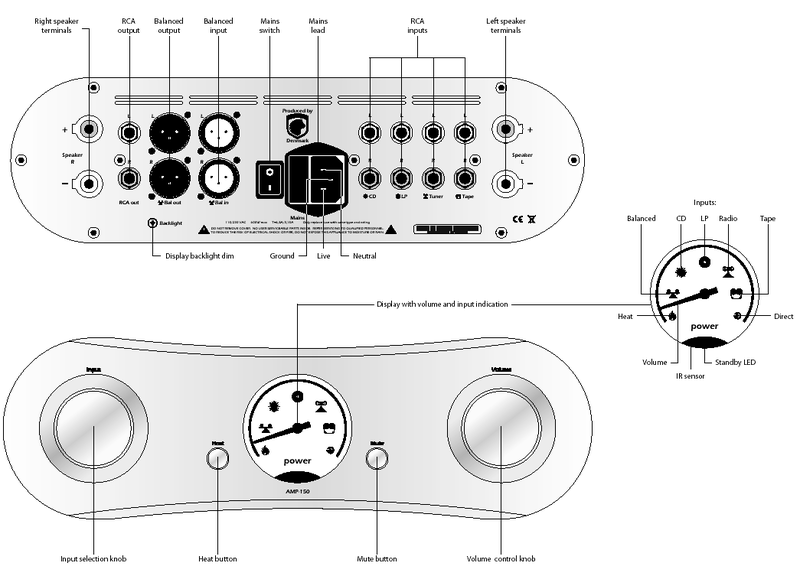 It is also possible to use KT66 or EL34 in the output stage without having to change bias. The build quality of this amplifier is really very good. Its enclosure is made of granite slabs nicely matched and joined and a special front panel of acrylic with a printed foil fixed behind it. The tubes insert via cut-outs in the top plate. I received Electro-Harmonix KT88EH but also tried Ayon Audio KT88sx, a special Shuguang version. The input valve was Russian NOS issue. The volume pot is an Alps and inside we find Wima and Nichicon Muse capacitors, with Samsung caps in the power supply. Metalized resistors have 2% tolerances. As already stated the build quality is very good even though you can still tell that this is a hand-crafted product. The Virtus-01 is available in two finish options: with steel-aluminium enclosure it sells for PLN 3.500, the granite version submitted demands a significantly higher PLN 5.000. ... Suzanne Vega, Close-Up, Vol 1. Love Songs, Amanuensis Productions/Cooking Vinyl, COOKCD521, CD (2010); The Beatles, Revolver, Apple/Parlophone/Toshiba-EMI, TOCP-51124, CD (1966/2000); Tommy Dorsey, This is Tommy Dorsey, RCA Records, VPM-6038, 2 x Dynagroove LP (1971); Wes Montgomery All-Stars, A good git-together, Lone Hill Jazz, LHJ10133, CD (2004); Władysław Komendarek, Przestrzenie przeszłoci, Metal Mind Productions, MMP CD 0697 DGD, 2 x CD (2011).